Synology is ideal for backup location. 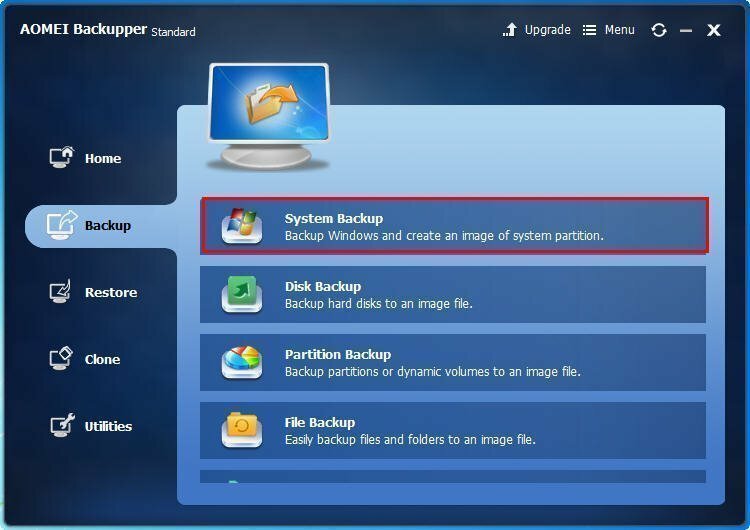 There is a simple way to backup Windows 7 computer to Synology NAS even you are not using the Ultimate version. Many users like to backup Windows 7 computer to Synology NAS for a couple of reasons. You can easily access NAS network location from many computers. Unlike external hard drive, NAS storage is less likely to be damaged by dropping or other accidents. What’s more, it will not be affected even when your computer crashes. However, in Windows 7, you have to upgrade to Ultimate version before you can backup to network drive with the Windows 7 built-in backup tool. In that case, you may want to have a third party backup program to backup to Synology NAS. 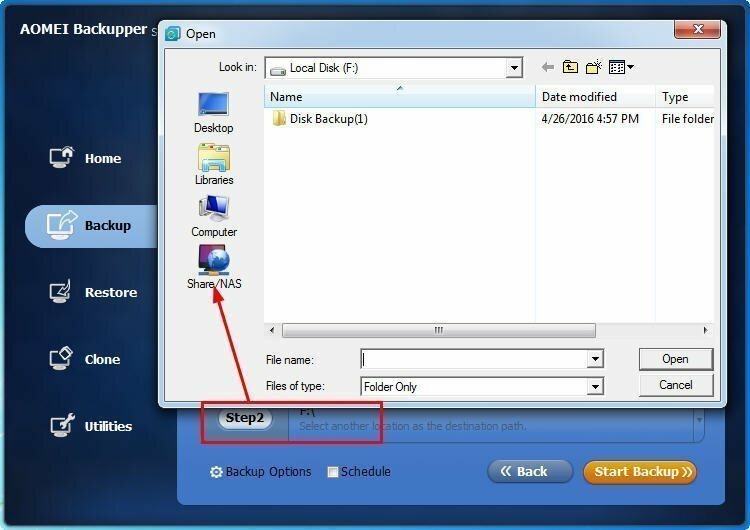 There is an easy-to-use backup tool, AOMEI Backupper that allows you to backup to NAS in windows 7 with only a few clicks. It has many types of backup you can choose. You can backup system, backup entire hard drive, backup one or several partitions, or backup files. Daily, weekly, or monthly automatic backup is also supported. In order to keep a lot of backup versions while saving space, it also allows you to perform incremental backup and differential backup. What’s more, system backup and disk backup can be restore to another computer with dissimilar hardware while the target computer remains bootable. 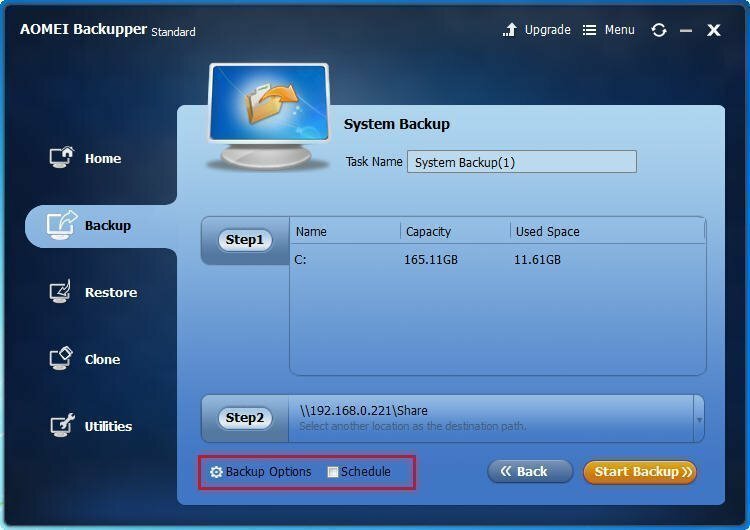 How to backup Windows 7 to Synology NAS? No matter what versions of Windows 7 you are using, you can use AOMEI Backupper to backup PC to Synology NAS. You can follow the steps below to create one. 1. Download and run the software on your Windows 7 computer. 2. At the Home screen，click “New Backup” or “Backup”. At the next screen, select “System Backup” to backup Windows 7 system. You can also select “Disk Backup”, “Partition Backup”, or “File Backup” based on your needs. 2. For a system backup, the needed items will be automatically included in the backup, and what you need to do is select the Synology NAS as the destination location in “Step 2”. 3. 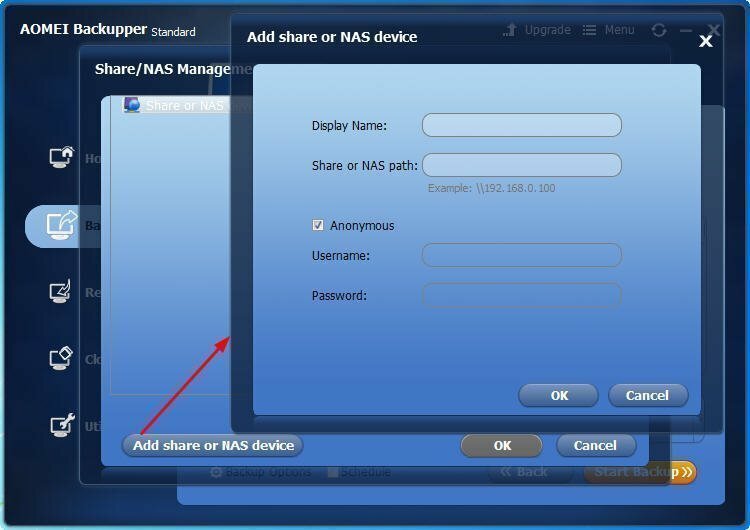 In a pop out window, click “Share/NAS” and then “Add share or NAS device”. Enter the address of the NAS location and click “OK”. 4. Confirm the backup information and click “Start Backup” to start the backup. That is how you can backup Windows 7 computer to Synology NAS. You can also enable the email notification so that you will be notified when the backup is complete. When the backup is done, you can create a bootable media so you can restore system when it is not working.